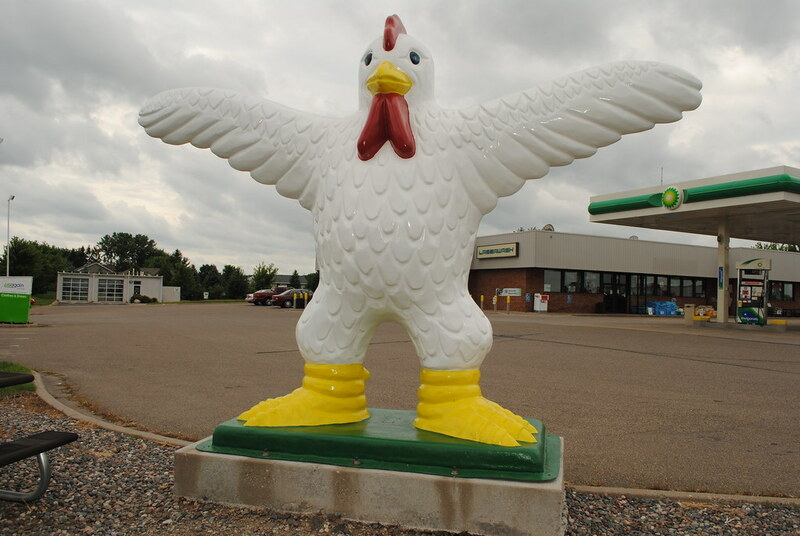 In front of this BP gas station and convenience store in Delano, MN stands this large fiberglass chicken. I have a feeling that there has to be a story behind something this random. If you know anything about this giant fiberglass chicken, please share.